Khursigara, A.J., Perrichon, P., Bautista, N.M., Burggren, W.W., and Esbaugh, A.A. Cardiac function and survival are affected by crude oil in larval red drum, Sciaenops ocellatus. In Press. Watson, C.M. and Burggren, W.W. Interspecific differences in metabolic rate and metabolic temperature sensitivity create distinct thermal ecological niches in lizards (Plestiodon). PLOS One, In Press. Burggren, W.W., Flores Santin, Josele, and Rojas-Antich, Maria. Cardio-respiratory development in bird embryos: new insights from a venerable animal model. Revista Brasileira de Zootecnia. In Press. Lewallen, M. A. and Burggren, W. W. Chronic hypoxia and hyperoxia modifies morphology and VEGF concentration of the lungs of the developing chicken (Gallus gallus variant domesticus). Respiratory Physiology and Neurobiology. PDF. Kohl, Z. F., Crossley II, D.A., Tazawa, H. and Burggren, W. W. Dynamics of blood viscosity regulation during hypoxic challenges in the chicken embryo (Gallus gallus domesticus). Comparative Biochemistry and Physiology A. PDF. Mueller, C.A., Crossley II, D.A. and Burggren, W.W. The actions of the renin-angiotensis system on cardiovascular and osmoregulatory function in embryonic chickens (Gallus gallus domesticus). Comparative Biochemistry and Phisiology - A. PDF. Burggren, W. W., Christoffels, V.M., Crossley II, D. A., Enok, S., Farrel, A. P., Hedrick, M. S., Hicks, J. M., Jensen, B., Moorman, A. F. M., Mueller, C. A., Skovgaard, N., Taylor, E. W. and Wang, T. Comparative cardiovascular physiology: future trends, opportunities and challenges. Acta Physiologica Scandinavica. 210(2):257-276. PDF. 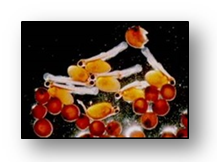 Mueller, C. A.Burggren, W.W. and Tazawa, H. The physiology of the avian embryo. Sturkie's Avian Physiology. Ed. Whittow, C.G. 6th Edition. Elsevier, New York. Branum, S.R., Yamada-Fisher, M. and Burggren, W. Reduced heart rate and cardiac output differentially affect angiogenesis, growth, and development in early chicken embryos (Gallus domesticus) Physiological Biochemistry and Zoology. 86(3):370-382.